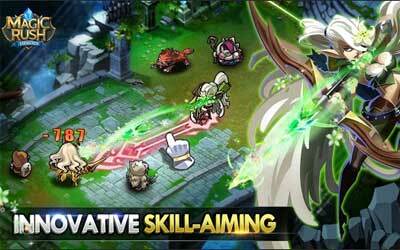 Previous version Magic Rush: Heroes 1.1.140 apk for Android will help you to downgrade or install older app easily. This is one of the best Role Playing apps. Afterimage Fist: HP and attack power of the fist increases as Yuan’s attributes increase. Hell Gate: Increased Hell Gate’s HP. Magic Brilliance: Increased the damage of extra explosion triggered by Magic Burst. Increased damage of glowing snare produced by Magic Halo. Increased range and damage of Magic Flash’s extra explosion. Added availability of Patra Soulstones.